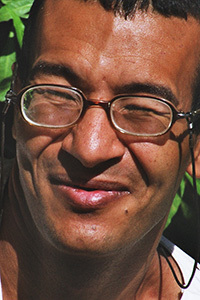 Hani Zaki Habeeb has been a core member with L’Arche al-Fulk since it began in 2002. 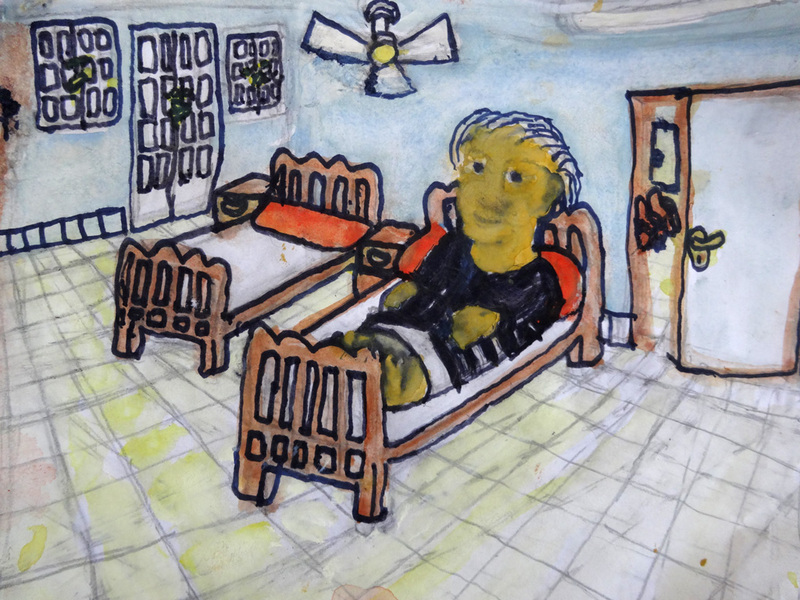 Hani was born into a poor family, poor materially, and in spirit and morale. After his parents died, he was found living with his sister in a closet under the stairs. He is quite a talented person. He taught himself how to draw and paint. He can memorize Christian music and church hymns. He received the first place in the Elkarazaa Coptic competition and won the first place for his painting, “Daniel in the den of Lions,” receiving an award personally from the late Holiness Pope Shenouda the third. Hani says that the story embodies the sense of insecurity that he faced when he moved to a new place due to the turmoil he and everyone in Egypt experienced. The new place was better but he still felt insecure. Click here to read a reflection by Hazel Bradely. extraordinary artwork! I love the treatment of depths and perspective; a touch of Van Gogh in the same time… plus the human presence, just beautiful and with talent!